The sailor with a peg leg may be an image from the days when sailing itself was a dangerous profession, but more recently sailing has provided a platform to highlight the achievements of people with disabilities. The Sailors with disAbilities program has entered a boat in the Sydney to Hobart ocean race since 1994 and holds the record for the sailed circumnavigation of Australia with a crew that included 2000 Australian Paralympic sitting volleyballer Albert Lee. Paralympians Liesl Tesch, John Maclean and Kurt Fearnley have sailed the Sydney to Hobart, and two-time Paralympic sailor Jamie Dunross was the first person with quadriplegia to sail solo around Australia. Through Sailability, which conducts programs around Australia and around the world, many thousands of Australians with a disability have experienced the freedom of sailing. Two Paralympic classes – Sonar and 2.4mR – are also open class boats in which sailors with a disability compete against able-bodied sailors at world championships and other regattas. Both are exceptionally stable keel-boats, almost impossible to capsize. The 2.4mR is essentially a scale version of the America’s Cup 12 metre yachts as they were when Australia II defeated Liberty in 1983. The single sailor sits in the hull of the boat, with their head just inches above the water. 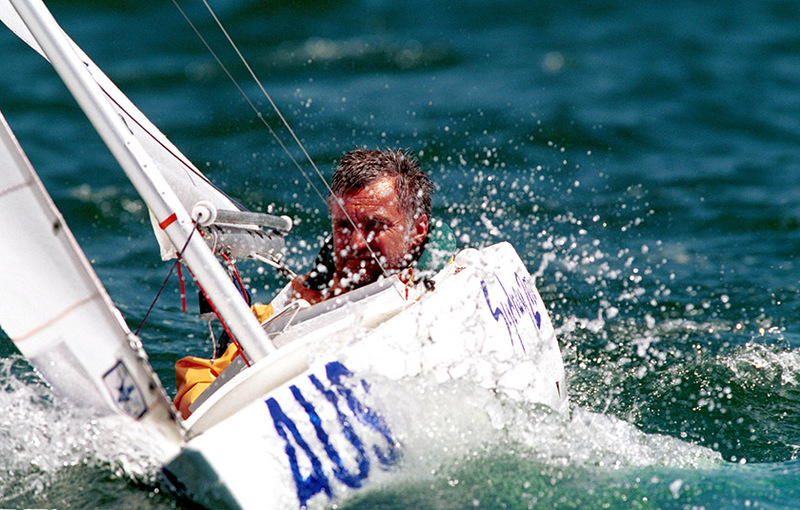 In 2005 and 2010 sailors with disabilities won the open world 2.4mR championships. In 2006, the SKUD18 was developed by an Australian boat designer specifically as a new Paralympic class. The SKUD is a light, fast, two-person skiff. Classification of athletes with a physical or visual impairment is assessed on a 1 to 7 scale. 2.4mR sailors must meet minimal impairment criteria. SKUD crews must have one female and one sailor with a high level of impairment (1 or 2). The Sonar crews can have a total point count of up to 14 among the 3 sailors. Australia was the most successful nation in Sailing at the Rio 2016 Paralympics. The team of 6 athletes – Matthew Bugg (single person 2.4mR), Daniel Fitzgibbon and Liesl Tesch (two person SKUD18), Colin Harrison, Russell Boaden, Jonathan Harris (three person Sonar) – won two gold and one silver medal. A review of Paralympic sports by the IPC after the 2012 Games found that sailing did not meet the requirements for inclusion at the Paralympic Games and the sport was dropped from the 2020 Tokyo Paralympics. There is a campaign for its reinstatement.